April 11 is World Parkinson’s Day, dedicated to raising awareness and support for people who have the disease. Parkinson’s disease is a disorder of the central nervous system, with tremors being the most recognizable symptom. Over the years, researchers have found that dopamine acts as a messenger between Parkinson’s patients’ brain cells and enables them to complete everyday behaviors like moving, eating, and learning. Dr. Leah Chase, associate professor of biology and chemistry, is one of those researchers conducting Parkinson’s disease investigations at the cellular level. 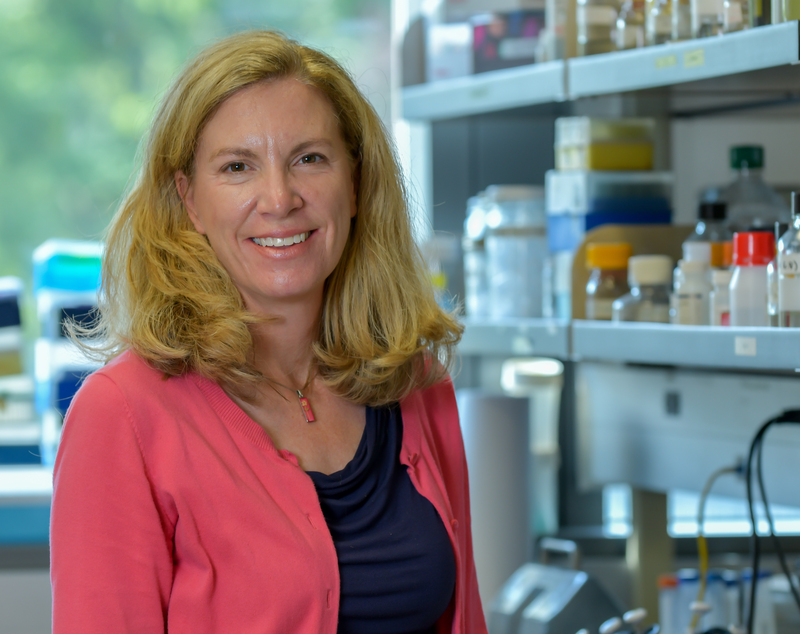 In fact, looking into the brain’s biological and chemical flaws, especially as they pertain to Parkinson’s, has driven her neurological research agenda in Schaap Science Center for the past 15 years. She and her student research team made a first-time discovery about how dopaminergic brain cells naturally protect themselves against oxidative stress, a known problem in the cells of Parkinson’s sufferers. “Our research is the basic science needed in order for somebody, someday to fix the problem with a new drug,” Chase said.